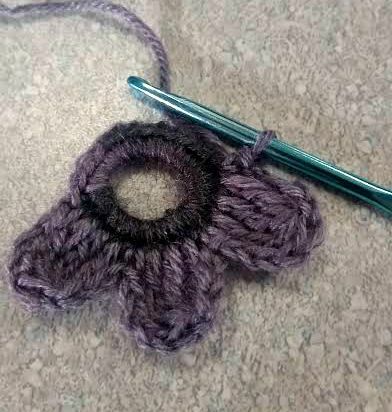 One of the pieces I used in the scarf is this flower with a stem. 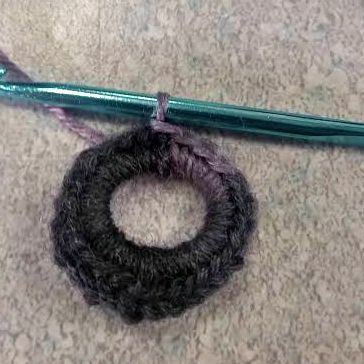 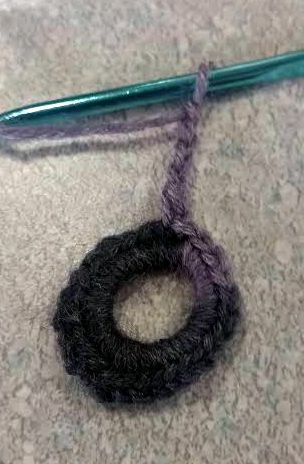 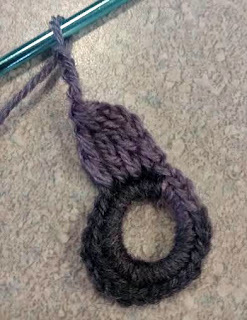 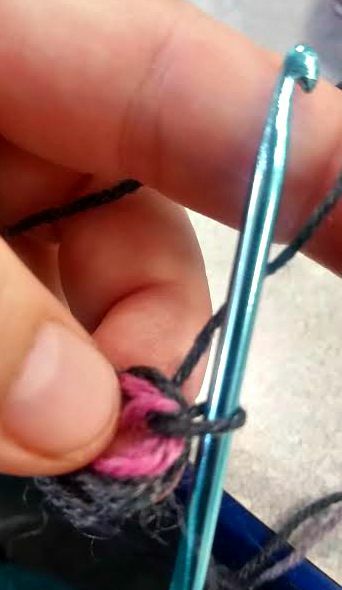 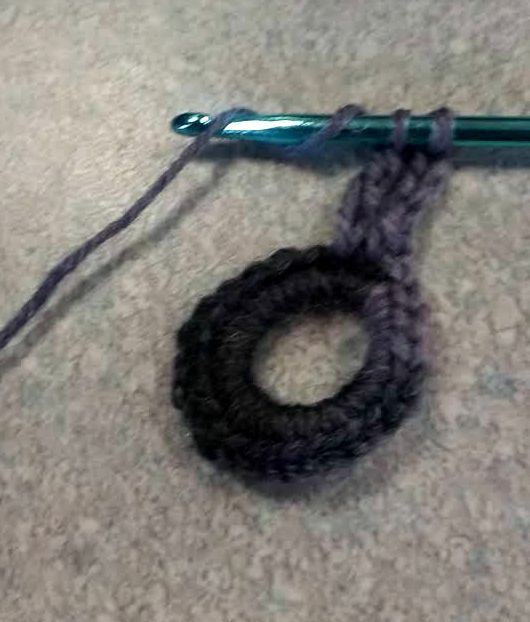 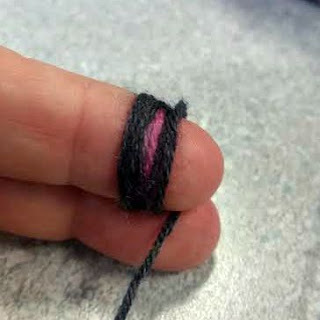 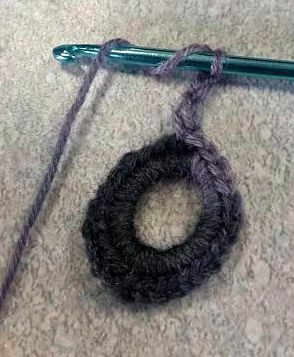 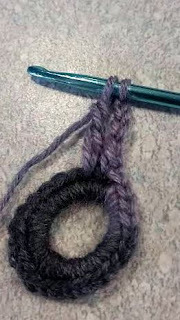 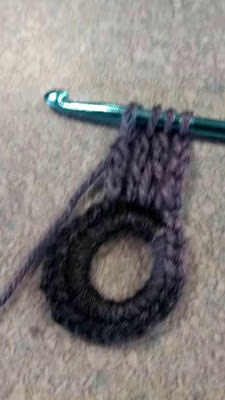 Wrap yarn around finger 6 times. 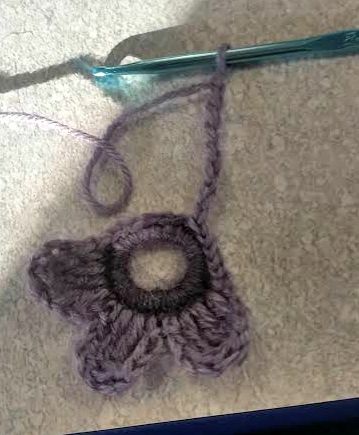 Chain 4 and then sc in next stitch creating the first petal. 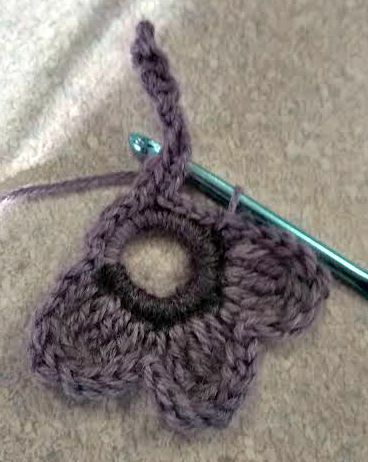 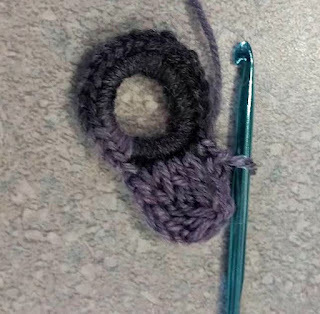 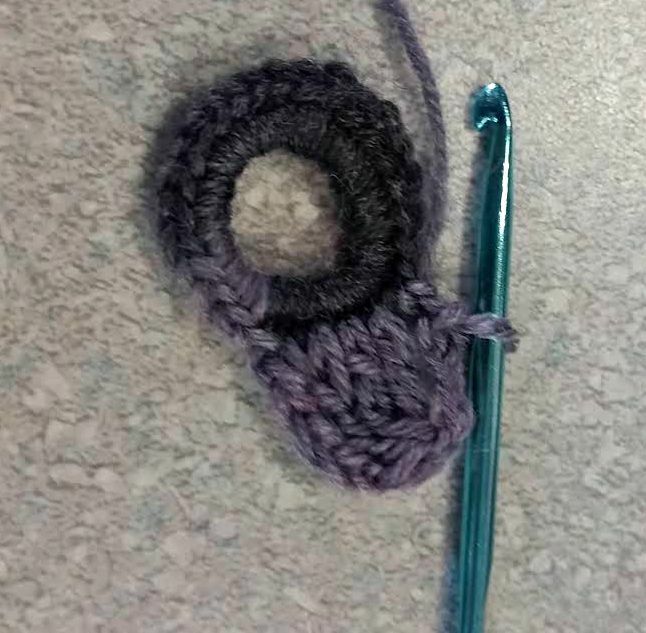 Slip stitch all the way around the flower. 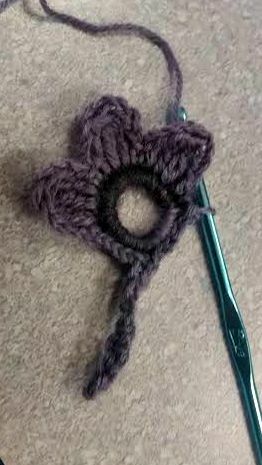 the parts on the petals kind of pull away when you start but they tighten back up as you finish each petal. 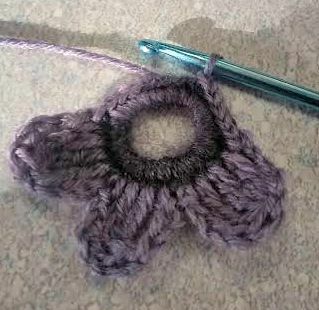 The slip stitches help give the flower a nice solid edge which comes in handy when sewing the whole thing together.